It sounds like a good idea, especially when it is presented in a convincing manner. As Oren Cass recently argued in the conservative City Journal, Career & Technical Education deserves a better rap (and better funding) than it usually gets. Yet this morning I’m going to explain why historians like me get nervous whenever people bring it up. States spend $70 billion annually on their university systems and offer another $10 billion in grants to cover remaining tuition obligations that otherwise fall to students. The federal government chips in $28 billion in Pell grants, plus $26 billion in tax breaks and $19 billion in loan subsidies. None of those funds or programs is available to students if they choose a vocational track. Congress’s 2017 appropriation for CTE was $1.2 billion. I’m on board with Cass up to this point. Non-college-track programs deserve just as much attention and financing as do college-track ones. Students and families who want to learn hands-on trades should be supported institutionally and financially. Definitely. But here’s the rub. As even Cass acknowledges, non-academic school programs have historically turned into low-rigor dumping grounds for less-affluent, less-white students. And that’s why educational historians get our dander up when we hear wonks celebrating the glories of vocational training. …not all that “technical” after all. For example, all of us have read James Anderson’s Education of Blacks in the South. As Anderson makes clear, white philanthropists ruthlessly pushed vocational training on African-American students and their educational institutions. Time and time again, these were go-nowhere programs meant to teach students to be docile, low-level workers in low-paying, low-prestige manual jobs. We’ve also all read Herbert Kliebard’s Schooled to Work. As Kliebard found in his study of (mostly) Milwaukee vocational programs, in spite of the best intentions, students were treated mainly as “raw materials” for industrial needs, not as people and citizens deserving maximum educational opportunity. It has always been a mixed bag, of course, but as Kliebard found, non-college-track programs too often veered from their goal of helping students achieve their maximum potentials. And, as I’m finding in my current research, as long as there have been public schools there have been attempts to squeeze low-income students into “apprenticeships” that only serve the needs of the school administrators. As I argued yesterday in a piece at History News Network, the first administrators of New York’s fledgling public-school system considered a plan to force their young students to serve without pay as “apprentice” teachers. As the voluminous records of the Free School Society make clear, in the late 1810s administrators pondered a plan to turn their youngest student/teachers into free labor. Yes, they called it an “apprenticeship” program, but they only wanted the students to work for free. They never thought of their program as a way to maximize the career chances of their students. So for those families who are looking for high-quality career and technical education, I’m with you. I support your fight to secure better funding and better resources for programs that you freely choose after being offered all the choices the rich kids get. 100%. But we can’t ignore the warning from the archives: Whenever schools have turned to vocational training, it has devolved (or begun) as a program to keep low-income students stuck in the lowest-income rungs of the economic ladder. What do people usually do when they win? They celebrate. Just ask Virginia. So why is this conservative campus group turning its victory into a loss? And why is this conservative strategy a long-term losing bet? While Student Government exercised its right to act on a resolution put forth on April 1 to bar a recognized student organization from Texas State campuses, established University policy states that student organizations can only be barred if they are under disciplinary sanctions. . . . the organization will not be barred from Texas State campuses. Texas State supports the constitutional rights of all of our students, faculty, staff and visitors. Last night @txst officially voted to BAN our @TPUSA chapter which advocates for free markets and free speech. The intolerant left can‘t tolerate the idea there are other ideas. This is exactly why @realDonaldTrump signed free speech executive order. Pull their funding! What gives? Why would a conservative student group call a victory a loss? To this reporter, it looks like another example of a self-defeating conservative campus strategy. By turning themselves into “punchbait,” campus conservatives can generate more attention than they could ever hope to get merely by discussing issues. In the long run, though, these strategies will be counterproductive. 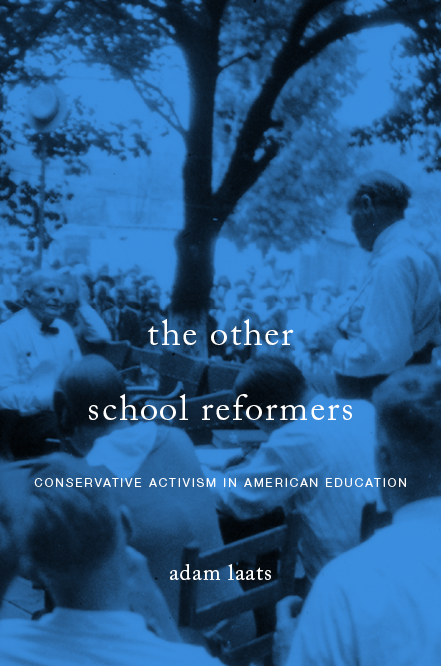 If conservative activists hope to turn campuses into more welcoming environments for an ideologically diverse array of ideas—including conservative ideas—they will be wiser to follow a different path. Instead of proclaiming themselves hapless victims, conservative intellectuals should double down on their intellectual and academic superiority. The Charlie Kirks of the world will come and go, but academic heavyweights such as Robert P. George of Princeton and Patrick Deneen of Notre Dame will prove to be far more influential in the long run. So what should TPUSA do? Instead of lamenting its victimhood, it should celebrate its status as a legitimate academic enterprise. It should tell young conservatives that they should never feel victimized on campuses, but rather that they own it. They should make sure every conversation includes Milton Friedman and F.A. Hayek, instead of Donald Trump and Charlie Kirk.